visions in which she is told that she will save The World. 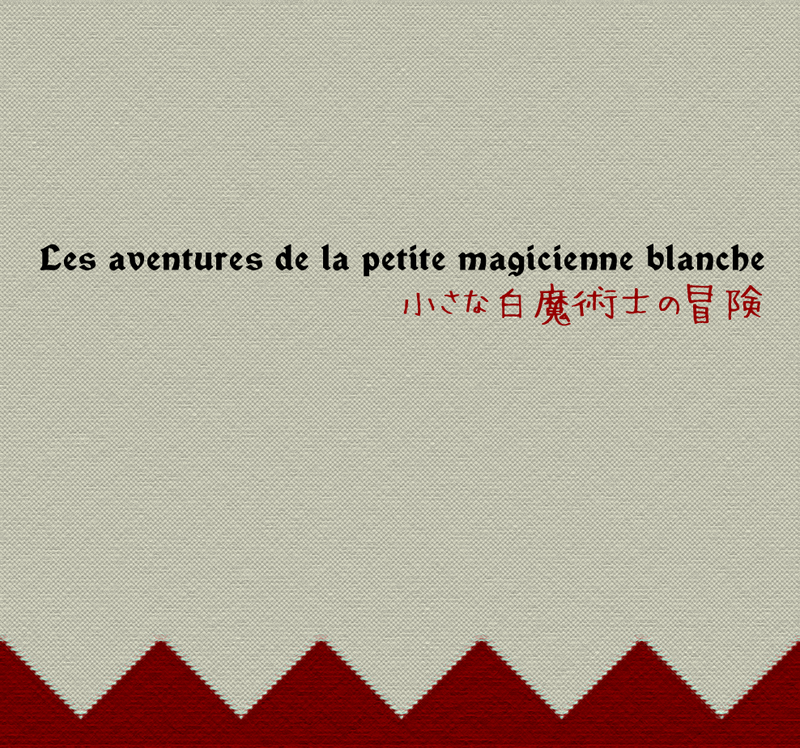 Unlike most other video games which are typically focused on violence, Les aventures de la petite magicienne blanche will instead focus on helping others, healing, problem-solving and will be a tale of self discovery in which hidden truths will be revealed. 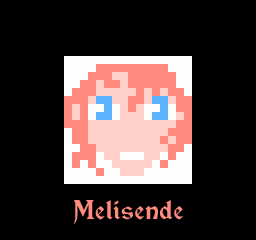 Melisende's choices made and actions taken will carry with them consequences which will determine her fate. 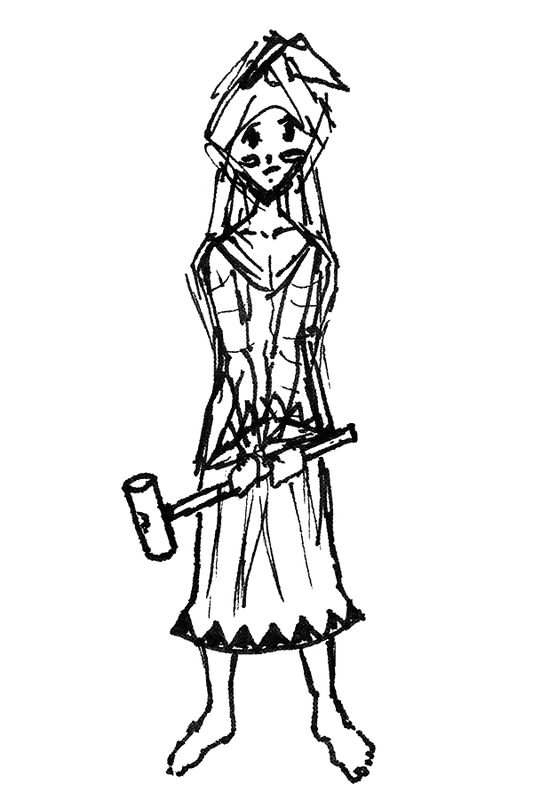 The player must use caution when guiding her along the path before her. 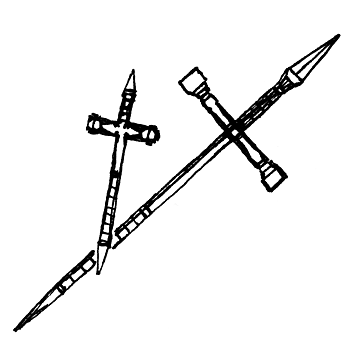 When combat does occur it will be with the forces of evil in the form of the undead and demons. 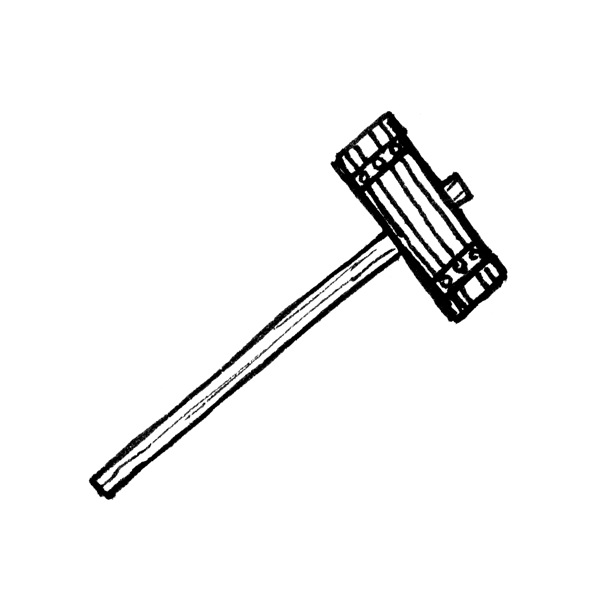 This video game will be highly randomized featuring multiple beginnings, decision-based paths and various endings with a total of 1728 map variations, which will guarantee a different play-through experience each time for hours of challenging and intriguing entertainment. Those in need of Melisende's help: an old man, the injured and dying soldiers, a green girl, a Moor, begging woman of the cloth, lost child and the confused. 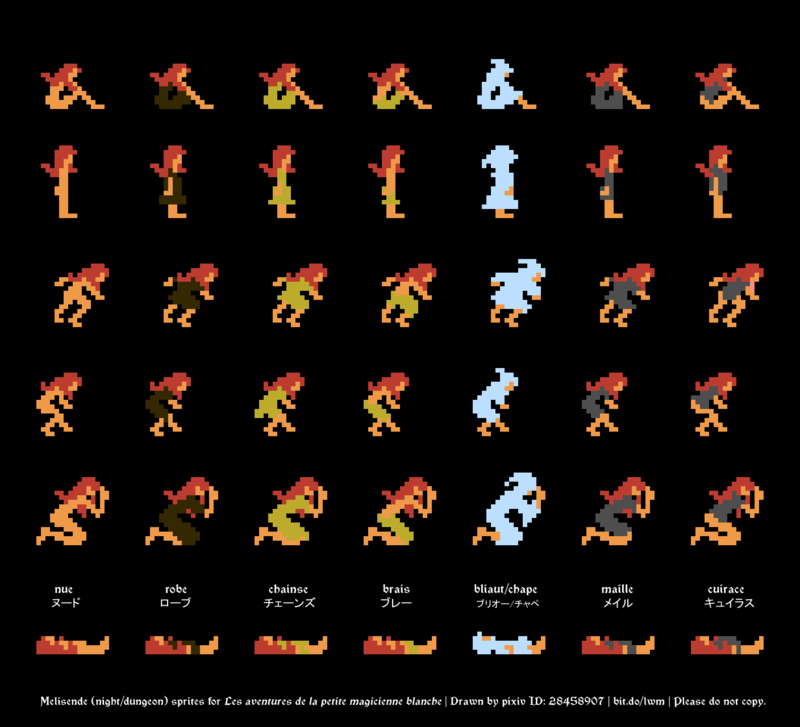 Side-scrolling gameplay action sprites for Melisende wearing various garments / armour. 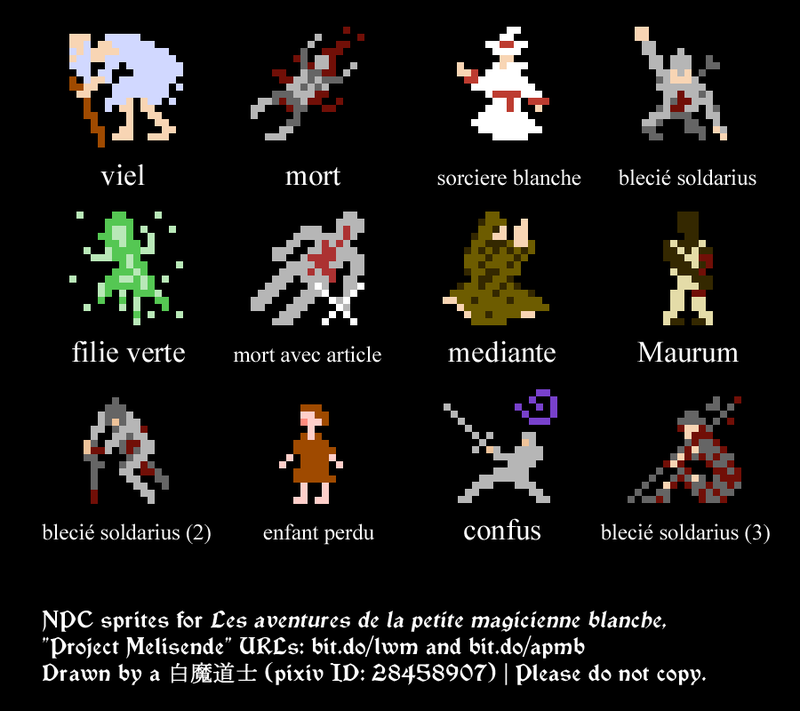 Night time / dungeon Melisende sprites. 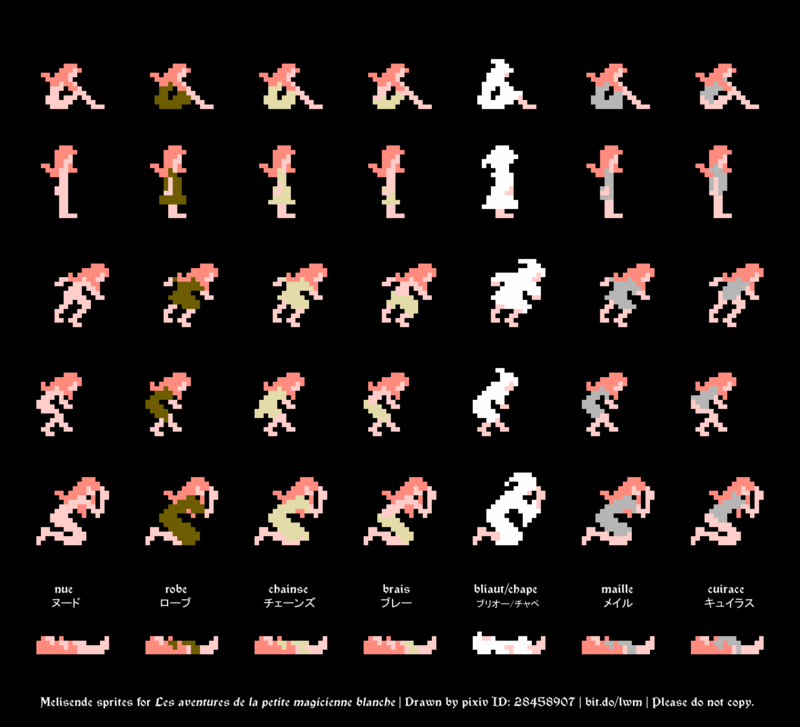 Sprites of Melisende swinging martel. 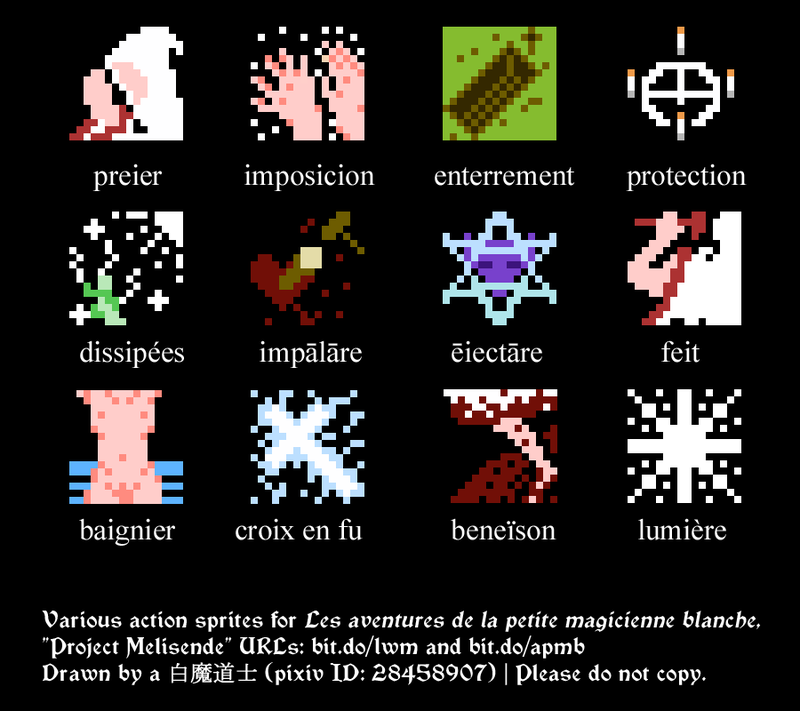 Sprites of Melisende swinging martel at night time/in a dungeon. 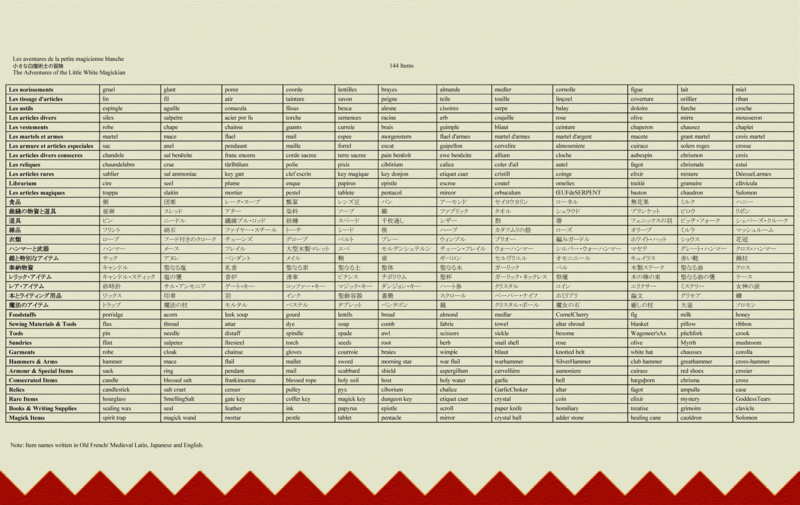 List of the 144 items. 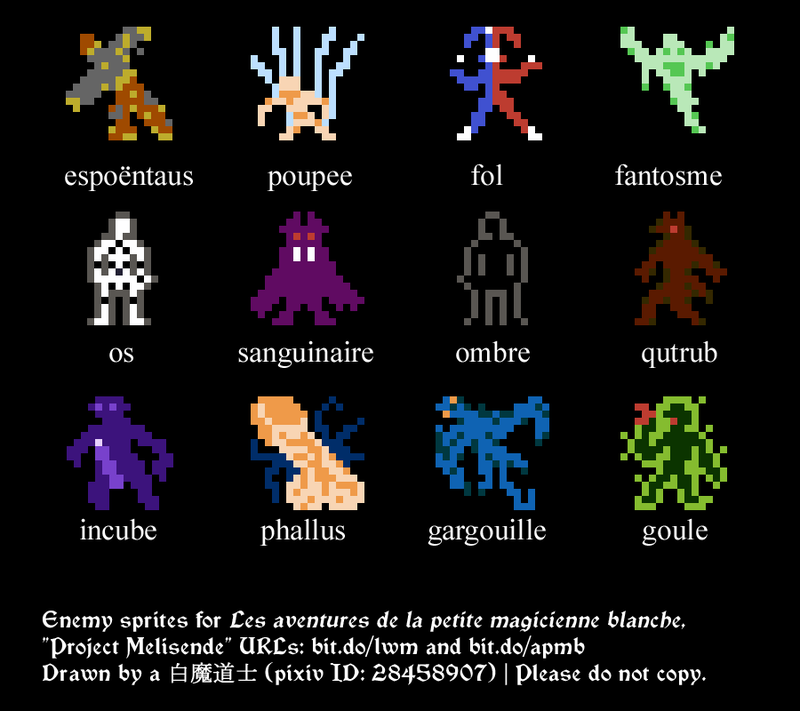 Sprites for the 144 items. 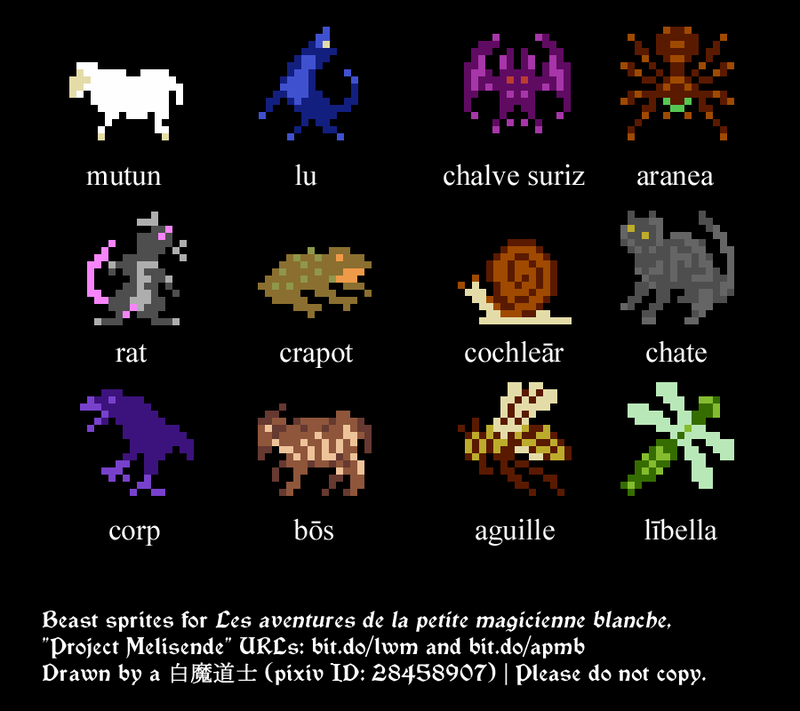 toad, snail, cat, raven, ox and dragonfly.